Today’s business environment and the current economy are such that many organizations are continuously looking at cost-cutting measures, ensuring that the organization is operating at peak state, is attuned to the rapid changes of high tech as well as on-going development of long-term business solutions and strategies. All of these tasks, not to mention the daily routines of the operations alone, create an ongoing demand for full-time and contract accounting and finance professionals to support and implement these initiatives. Accounting and finance professionals are needed to provide guidance to middle and senior management, enhance operational efficiency and analyze financial data. Companies – large or small – are seeking accounting and finance professionals with diverse skill set to efficiently and quickly “role up their sleeves”, assume various roles and act as the liaison between senior management and staff. To achieve these tasks successfully, accounting and finance professionals are required to establish rapport and work in partnership with various key staff in the organization. Hence, organizations are hiring accountants with solid interpersonal skills – those who are able to “think out of the box”, and those who bring along innovative ideas and will be active participants in new initiatives, as the organization’s needs to change. With our current economy slowing down in the past few months, we are now in what is called the “employer’s market” cycle. Some of the primary factors are: 9/11 the end of the dot-com “hysteria” massive layoffs in companies like Nortel, Air Canada, Ford Motor Company and Lucent Technologies and the volatile stock market. Among the greatest challenges companies face today, is finding qualified competent professionals with that seemingly elusive “chemistry fit” between management and staff, one of the most important keys to effective, efficient, productive and happy work environments. In an employer’s market, there is higher supply and lower demand of qualifies resources. With this advantage employers are able to be more selective when hiring and will take their time to ascertain which candidate possesses the best “chemistry fit” for the corporate culture. We find organizations today seek finance professionals committed to the position hired for as well as to the accounting profession as a whole. As a result, fully designated candidates, or those who are working toward completing their designation are in higher demand. These include: Chartered Accountants (CA), Certified General Accountants (CGA) or Certified Management Accountants (CMA) and those who have earned the Fellow Credit Institute (FCI) designations. To be successful in our current competitive economy, it is imperative for organizations to implement all cost effective measures, be creative and innovative. Human resources happen to be the number one major fixed cost. What are organizations doing today to make this fixed cost more practical, efficient and effective? One solution is complementing the existing permanent staff with qualified contract/project professionals. Contract employees offer organizations a tremendous cost-effective benefit by utilizing their highly specialized experience needed to complete any current initiatives as well as assisting with the implementations of proposed strategic and long-range plans. Contract/project employees are ideal for special projects – year end work, work surges, system conversions, budgeting and strategic planning, maternity or sick leaves, and bridging the gap while searching for full-time staff. In situations where the position is vacant, what a better way to observe and evaluate the contract employee for permanent consideration and vise versa! Our experience as a recruiting firm indicates that the use of contract/project professionals is expected to increase during the next few years. Converting a fixed human resources expense into a variable expense offers a stronger foothold in the market place for companies looking to gain a competitive edge. Compensation levels in 2002 have stabilized compared to 2001. According to industry surveys, the average starting remuneration for accounting and finance professionals is expected to increase by about 3 per cent. Here are some samples of accounting and finance salary ranges, pending on the company’s size and gross annual sales: CFO $90K – $240K VP, Finance $80K – $200K Controller $65K – $160K Assistant Controller $55K – $110K Accounting Manager $45K – $ 80K Financial Analyst $40K – $ 90K In conclusion, for business in today’s environment to grow and prosper, the accounting and finance professionals they employ must possess solid technical and communication skills, adaptability as well an outstanding capability to build and develop business relationships with internal an external stakeholders. Organizations are encouraged to be careful with full-time hiring decisions and building a flexible work force through a carefully selected blend of full-time and contract employees. For the accounting and finance professional to be successful they must possess solid interpersonal skills and diverse industry experience with progressive companies, adapt to technological advances and the ability to manage a broad range of accounting and managerial responsibilities. Be fully designated or at the very least, enrolled in a recognized accounting program. Knowing that “job security” is a term of the past be open and flexible to a wide range of employment opportunities, be it contract, temporary to permanent or full time situations. This article first appeared in the June 2002 edition of The Bottom Line, The Independent nt Voice for Canada’s Accounting and Financial Professionals. Today’s business environment and the current economy are such that many organizations are continuously looking at cost-cutting measures, ensuring that the organization is operating at peak state, is attuned to the rapid changes of high tech as well as on-going development of long-term business solutions and strategies. All of these tasks, not to mention the daily routines of the operations alone, create an ongoing demand for full-time and contract accounting and finance professionals to support and implement these initiatives. Accounting and finance professionals are needed to provide guidance to middle and senior management, enhance operational efficiency and analyze financial data. Companies – large or small – are seeking accounting and finance professionals with diverse skill set to efficiently and quickly “role up their sleeves”, assume various roles and act as the liaison between senior management and staff. To achieve these tasks successfully, accounting and finance professionals are required to establish rapport and work in partnership with various key staff in the organization. Hence, organizations are hiring accountants with solid interpersonal skills – those who are able to “think out of the box”, and those who bring along innovative ideas and will be active participants in new initiatives, as the organization’s needs to change. With our current economy slowing down in the past few months, we are now in what is called the “employer’s market” cycle. Some of the primary factors are: 9/11 the end of the dot-com “hysteria” massive layoffs in companies like Nortel, Air Canada, Ford Motor Company and Lucent Technologies and the volatile stock market. Among the greatest challenges companies face today, is finding qualified competent professionals with that seemingly elusive “chemistry fit” between management and staff, one of the most important keys to effective, efficient, productive and happy work environments. In an employer’s market, there is higher supply and lower demand of qualifies resources. With this advantage employers are able to be more selective when hiring and will take their time to ascertain which candidate possesses the best “chemistry fit” for the corporate culture. We find organizations today seek finance professionals committed to the position hired for as well as to the accounting profession as a whole. As a result, fully designated candidates, or those who are working toward completing their designation are in higher demand. These include: Chartered Accountants (CA), Certified General Accountants (CGA) or Certified Management Accountants (CMA) and those who have earned the Fellow Credit Institute (FCI) designations. To be successful in our current competitive economy, it is imperative for organizations to implement all cost effective measures, be creative and innovative. Human resources happen to be the number one major fixed cost. What are organizations doing today to make this fixed cost more practical, efficient and effective? One solution is complementing the existing permanent staff with qualified contract/project professionals. Contract employees offer organizations a tremendous cost-effective benefit by utilizing their highly specialized experience needed to complete any current initiatives as well as assisting with the implementations of proposed strategic and long-range plans. Contract/project employees are ideal for special projects – year end work, work surges, system conversions, budgeting and strategic planning, maternity or sick leaves, and bridging the gap while searching for full-time staff. In situations where the position is vacant, what a better way to observe and evaluate the contract employee for permanent consideration and vise versa! Our experience as a recruiting firm indicates that the use of contract/project professionals is expected to increase during the next few years. Converting a fixed human resources expense into a variable expense offers a stronger foothold in the market place for companies looking to gain a competitive edge. Compensation levels in 2002 have stabilized compared to 2001. According to industry surveys, the average starting remuneration for accounting and finance professionals is expected to increase by about 3 per cent. Here are some samples of accounting and finance salary ranges, pending on the company’s size and gross annual sales: CFO $90K – $240K VP, Finance $80K – $200K Controller $65K – $160K Assistant Controller $55K – $110K Accounting Manager $45K – $ 80K Financial Analyst $40K – $ 90K In conclusion, for business in today’s environment to grow and prosper, the accounting and finance professionals they employ must possess solid technical and communication skills, adaptability as well an outstanding capability to build and develop business relationships with internal an external stakeholders. Organizations are encouraged to be careful with full-time hiring decisions and building a flexible work force through a carefully selected blend of full-time and contract employees. For the accounting and finance professional to be successful they must possess solid interpersonal skills and diverse industry experience with progressive companies, adapt to technological advances and the ability to manage a broad range of accounting and managerial responsibilities. Be fully designated or at the very least, enrolled in a recognized accounting program. Knowing that “job security” is a term of the past be open and flexible to a wide range of employment opportunities, be it contract, temporary to permanent or full time situations. 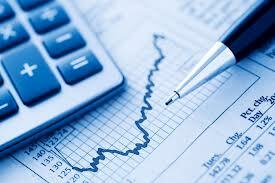 An associate’s degree in accounting is sufficient for a career as a paraprofessional accountant. With a junior college associate’s degree in accounting or a diploma in accounting from a business school, the student with a two-year accounting degree can work for an accounting firm preparing corporate or individual tax returns, keeping payroll records, or auditing. A survey by the American Institute of Certified Public Accountants shows that 96% of mid- to large-sized accounting firms rely on paraprofessionals with associate-accounting credentials. Part time and tax season positions for paraprofessional accountants are likely to continue their rapid growth. Now that most states have adopted the U.S. Uniform Accountancy Act, which demands 150 hours of college education to take the CPA exam, fewer students go into accounting. Hence, the current shortages in qualified accountants. As a result, students with a BS in Accounting find themselves in a seller’s job market where firms are offering not just record high salaries but perks as well. Students with a Bachelor of Business Administration-Accounting degree can specialize in a hot job field like taxation. With a BS in Accounting and computer training, the student can pursue technological accounting, developing accounting software or designing accounting systems. CNN reported that top accounting firm Ernst & Young sought to hire 4,500 accounting graduates in 2005, up 30 percent from the previous year. Other powerhouse firms continue to compete for graduates with bachelor’s degrees in accounting. Because accountants are fielding multiple offers, accounting firms now offer hiring bonuses to supplement the career-high starting salaries, and benefit packages further sweeten the pot. To make sure young accountants spend quality time at their new jobs, corporations even provide concierge services to run errands. While the accounting profession is still basically divided into public accounting and auditing, cost or management accounting (keeping corporate financial records), internal auditing (checking for waste or fraud), and government accounting, some new accounting specializations have terrific career potential for CPAs. With some background in business administration, or better yet, a business degree, a CPA can work in assurance services, providing quality control and risk assessment to corporations. Post Enron, forensic accounting and fraud detection are in demand as never before. Environmental accounting has seen a boom, too, since corporation and utilities seek accounting professionals to do environmental compliance audits. The Sarbanes-Oxley Act of 2002, passed to correct the abuses of Enron and similar accounting scandals, has left a trail of opportunities for accountants with a few years of corporate auditing or public accounting under their belts. Salaries in the $70,000-$85,000 range are becoming common for corporate audit managers, pushed by an accounting shortage predicted to continue for at least another decade. The high demand for accountants remains because the significant drop in accounting enrollments caused by the 30-unit hike in CPA credit requirements has yet to correct itself. Students setting out to get their bachelors degrees in accounting face bright prospects.